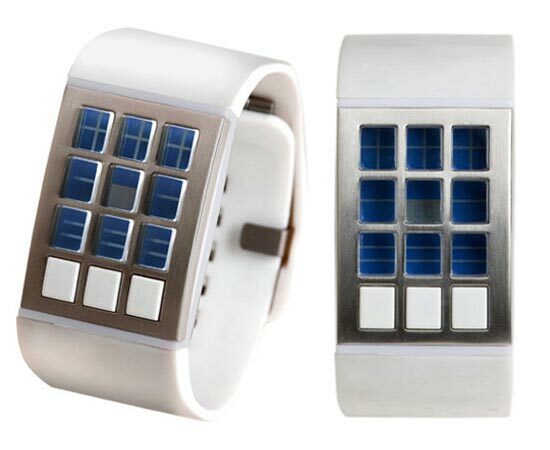 Here is a fun geeky watch, the EG Twelve Blocks wristwatch. The EG Twelve Blocks wristwatch features a total of twelve blocks on the watch space, three have buttons on them which are used to control the watch, and the other nine feature liny LCD displays which display the time. The top three blocks display the time in hours, the middle three blocks display the time in minutes x 10 and the last three blocks display the time in minutes x 1. The EG Twelve Blocks wristwatch is available for $160 from Japan Trend Shop.